The Independent National Electoral Commission has fixed supplementary elections in some constituencies in River State for Saturday April 13, 2019. This is just as the commission set up a committee to look into the conduct of the lmo North Senatorial District election held on February 23 and March 9. 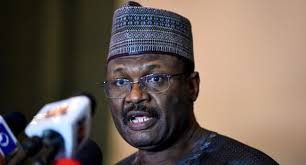 Thursday by INEC National Commissioner and chairman of its Information and Voter Education Committee, Festus Okoye. He said, “The commission met on Thursday April 4, 2019 and reviewed the conduct of the just-concluded Rivers State collation exercise. The commission expressed satisfaction with the outcome and commended the security agencies for their professionalism which ensured the peaceful conduct of the exercise. "The commission also deliberated on the conduct of lmo North Senatorial District election held on February 23 and March 9, and took into consideration a number of issues arising from the election.